This Little Tikes Cozy Coupe review looks at a classic among ride-on-toys that has been around for 30 years and maintained it's best-seller status for all that time. Several generations of toddlers have enjoyed driving this classic car so why deny your kids the same privilege? 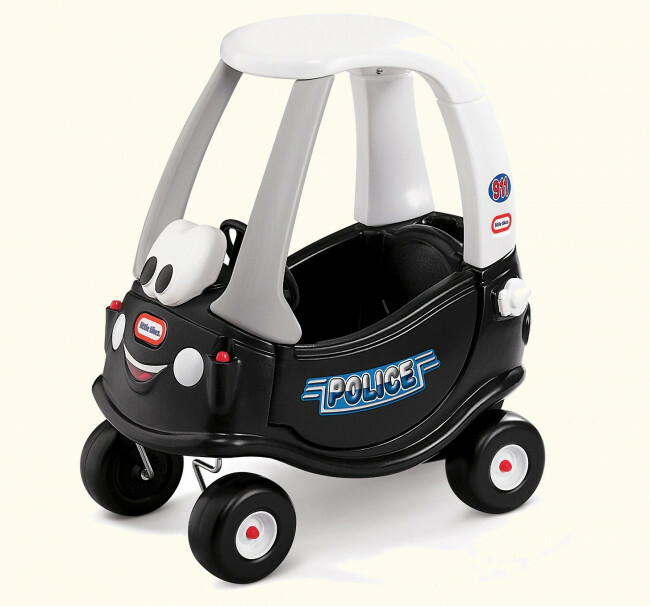 Being a classic from the Little Tikes range, this great car that has stood the test of time is one of the top kid’s toys on the market. As you would expect it has evolved for the 30th Anniversary Edition, but not by too much which is a testament to its great original design. The new model has a number of new innovations that brings this classic up to date. The new model has a removable floor which is a fantastic innovation to this product. This now allows you push your toddler safely around the garden without them falling through the bottom. It also comes with an ignition switch which kids always love pretending to start the car with. There is a petrol cap that even opens and it adds an extra dimension to the role play They have also added a drinks holder come storage bit at the back so that they keep their drinks and small toys in there. The front wheels spin round on their axels 360 degrees so it can change direction very easily and they are made of very durable hard plastic and will last for years. so it won’t be a problem lugging it around if you have to, but it will be rather cumbersome. Although it does not look too hard to put together, you will need about an hour and a lot of brute force trying to fit the components together. That is mainly down to the toughness of plastic but once it’s done all your hard work will be rewarded with the hours of fun your little ones will have with it. 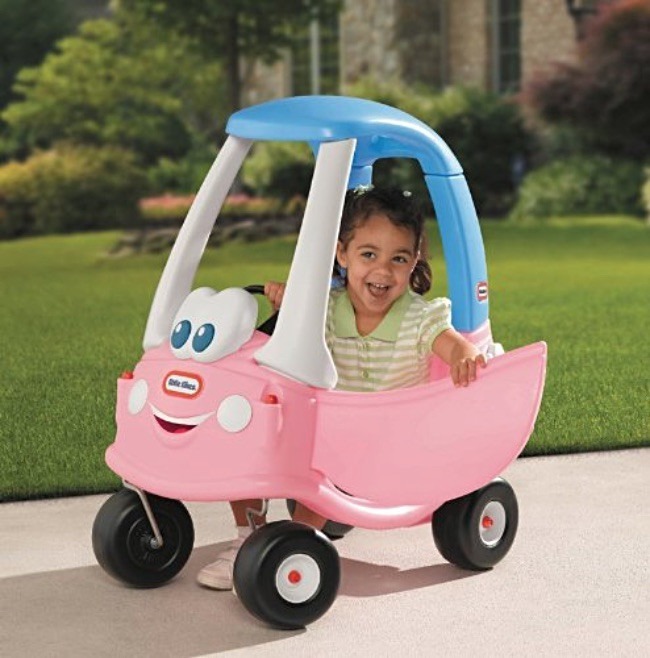 This model also comes in Classic Classic Pink Little Tikes Cozy Princess Coupe which is a hot pink number and the 30th Anniversary Edition below which is a pastel pink. and Yellow Cab Cozy Coupe. These are identical vehicles to the Cozy Coupe Car just in different colors to suit different tastes. The paste pink Cozy Princess Coupe is fast-becoming a top-seller among parents of young princesses all over the country. Which princess could resist it's subtle pastel tones and baby-blue roof? The Cozy Cab is the most expensive in the range at around $114, probably because it sells a lot less but in my opinion it is the coolest looking model of them all. They have the Little Tikes Spray And Rescue Fire Truck which is super cool and a great price at around $67.99. This little beauty has quite an animated smiley face on the front and the best feature is a pressurized water tank that squirts water! The tank is easy to remove and fill so hours of fun and wet times in the garden during summer with this ride-on! The steering wheel has a beeping horn. It should be noted that this model does not come with a floor so it’s not suitable for little ones that cannot hold themselves up properly. You can also complete the look with this cool Fire Chief Helmet. For the more rugged look there is the Little Tikes Cozy Coupe Truck (Review) that looks the real deal with a flatbed and dropdown tail gate. The tires are like proper off road chunky tires that complete the macho look. For the complete roadster there is the Little Tikes Cozy Pumper with a slot for a credit card, funky electronic sounds and the nozzle will fit all the Cozy range of fuel caps which all adds to the role play for your little ones. It’s a little lighter than what you would expect and does fall over a little too easily but all in all the kids love it and they never tire from pushing the buttons. You will need 2 AA batteries but at least there is no assembly with it. At only $25.00 it's hard not to buy the pumper along with the Cozy Truck. 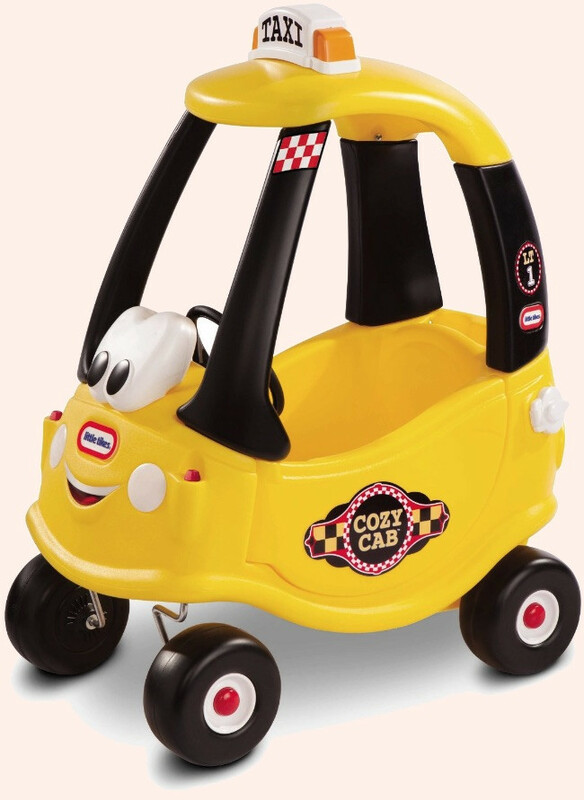 There are also cool accessories you can purchase with the Cosy Coupe Ride on. A specially engraved number plate with an adhesive backing that can be customized with your little ones name and message that fits into the recess on the back. There is also the Little Tikes Cozy Trailer for all their ride-on toys that fits on the back via an attachment and is the same tough standard as the coupe. You could go all out and get the Big Traffic Lights. These have either a manual operation or automatic and in our experience the kids love both features. They spend hours stopping and starting to the lights and also use them for races as well. This time you will need 4 AA batteries and I would recommend you use rechargeable batteries as they get drained fairly quickly. I would recommend weighing the base down with either silver sand or water. The manufacturer does not recommend this for kids under 3 for some reason which I can only assume that is in case it falls on them. 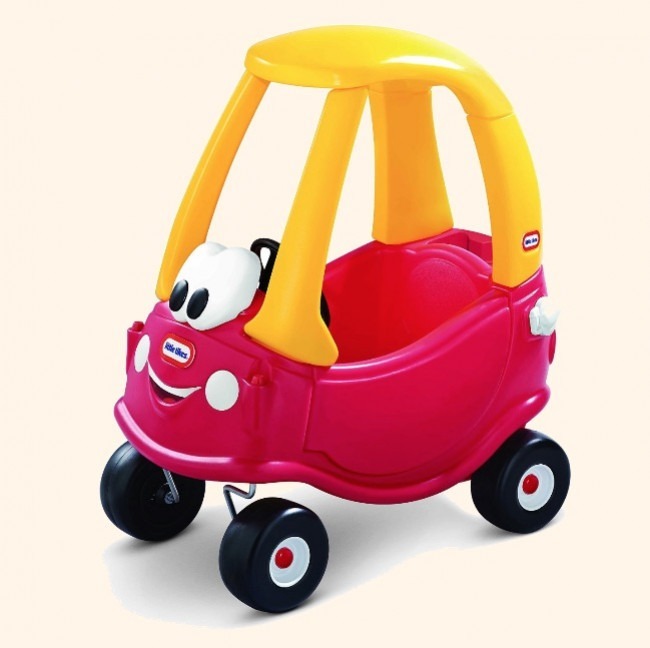 Just to restate the obvoius if it is not already clear, we loved writing the Little Tikes Cozy Coupe Ride-On Car review because top classics like this are few and far between so go get one now! Is The Little Tikes 3-in-1 Trike A Good Buy For A Toddler?